This is great and I wanted to share it with you all. Three wonderful friends of this forum decided to all meet at an event called Castlefest this year. 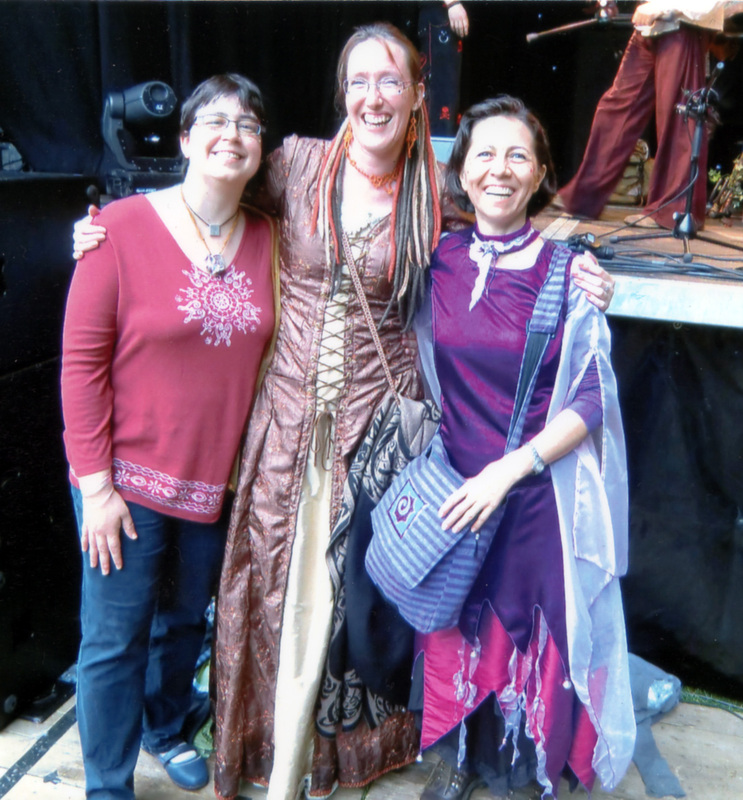 They each came from different countries around the globe and all met in person at this medieval festival this summer and it all started right here in our forum - I'm so honored! Here is the picture they mailed me from the festival - beautiful! Ute, Jaschenka, and Ufuk are all inspiring contributors of our forum. Here they are meeting up at a festival in Holland having a fantastic time! I believe meaningful human connections is what life is all about. It's what we write books and songs and movies about. It is ultimately what makes us laugh and cry and gives our lives a sense of meaning when we recognize ourselves in each other and make an effort to reach out like this. Keep us all posted on next year's Castlefest and thanks for sharing these great memories with us! Or even if you were pretty sure you would fail? Hey, it's my producing partner's birthday today! If you get a chance, go to his site www.moviehole.net and tell him what a great guy he is.